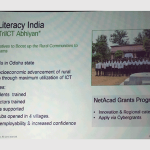 Trident is the Cisco Academy Support Center for East, North East and South East India covering 15 states. 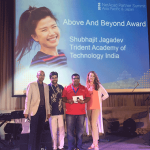 CISCO NetAcad Programme in more than 50 engineering colleges and universities is controlled by Trident ASC within these 15 states. 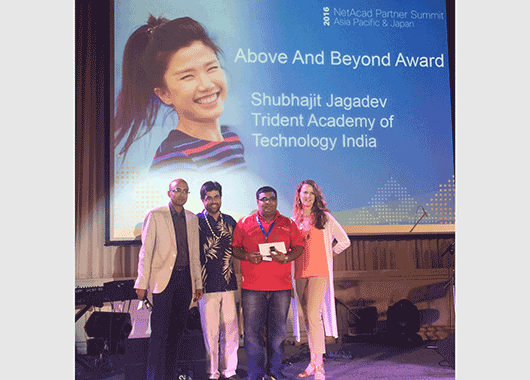 Trident Students have received CISCO Student IT-Ambassador for India for 2014. 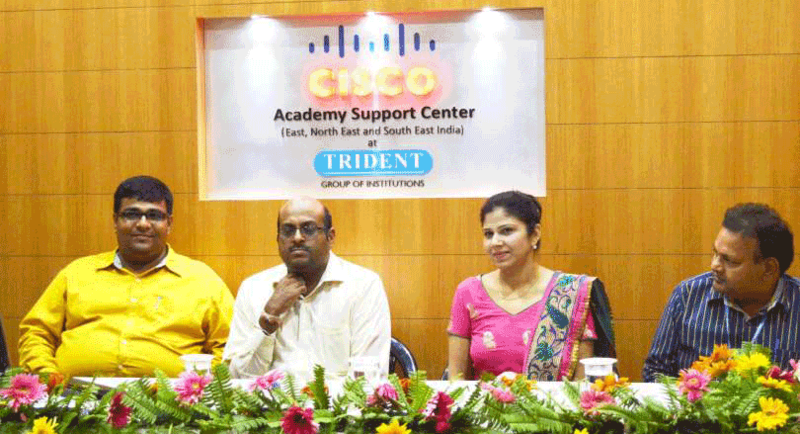 Trident is also CISCO Instructor Training Center for India. 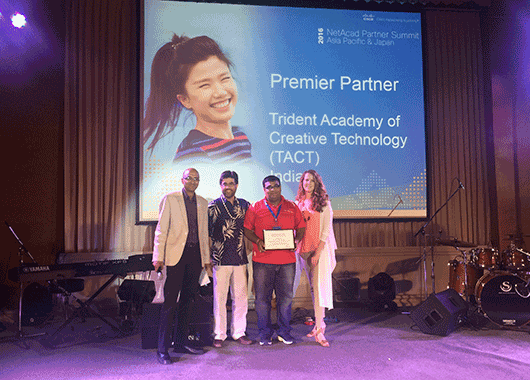 Trident is declared as Cisco Prime Partner for 2015-16. 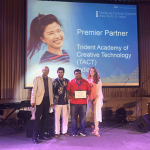 Head of Trident ASC is awarded with CISCO Instructor Excellence award. Head of Trident ASC is now within top 300 Instructor Trainers in the world. 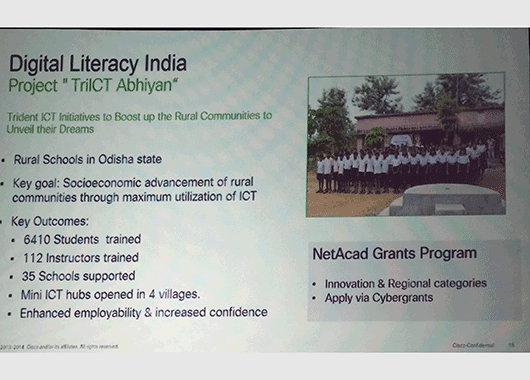 Trident has received funding form CISCO to provide skill training to 6000 students on networking for the year 2014-15.